Visit our Keyport New Jersey eye care clinic for all of your optical needs! Specs for Less proudly offers designer eyewear, eye exams, and prescription sunglasses to patients across New York City and New Jersey. Visit us to try them on! 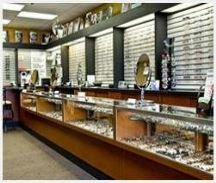 Our optical boutique in Keyport, NJ carries the latest in designer frames fashion to match your unique style. Our team of opticians will assist you in finding the perfect pair of eyeglasses to match your style and face.